Boeing says it is sending a technical team to the site of the crash of an Ethiopian Airlines flight that killed 157 people, including 18 Canadians. 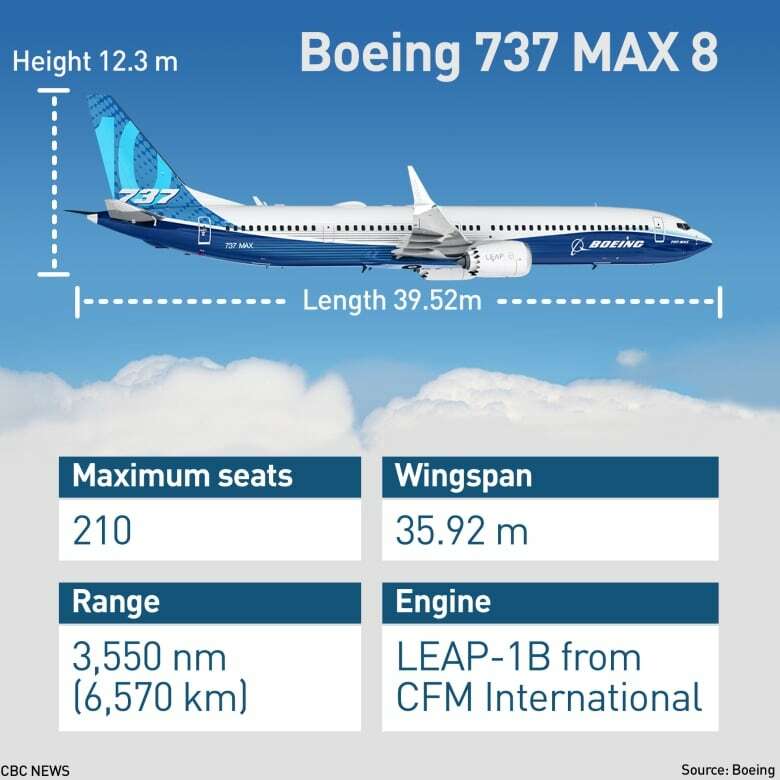 In Canada, Air Canada, WestJet and Sunwing use the model of aircraft that crashed — the Boeing 737 Max 8 plane. 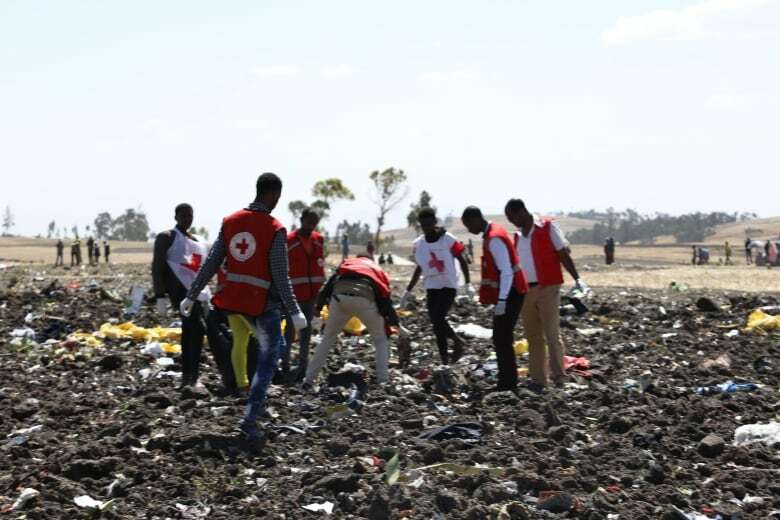 The 737 Max 8 crashed Sunday shortly after takeoff from Bole airport in Ethiopia's capital Addis Ababa en route to Nairobi on Sunday. 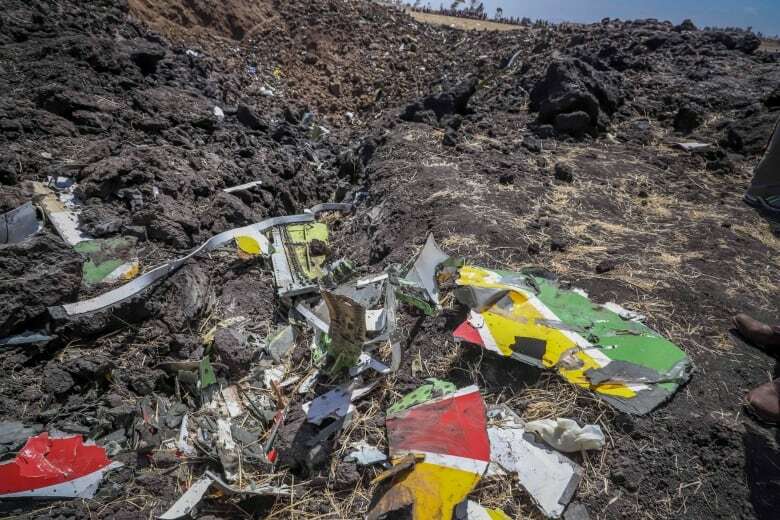 Ethiopian authorities said the pilot in Sunday's crash sent out a distress call and was given clearance to return. Sunday's crash is likely to renew questions about the 737 Max 8. First entered into service in 2017, the Max single-aisle aircraft is one of Boeing's fastest-selling models yet. A new engine, the LEAP-1B, helps make the plane 14 per cent more fuel efficient than the previous version. Dennis Tajer, a spokesperson for the Allied Pilots Association who flies the 737 Max 8 for American Airlines, said Boeing had not initially informed pilots about some of the plane's features. "There is a system called MCAS, the Maneuvering Characteristics Augmentation System, which was not in our manuals prior to the Lion Air tragedy," Tajer told CBC News. "Boeing at the time had not chosen to disclose that information." "I am soundly confident in the aircraft's safety," he said of the 737 Max 8. "If we weren't confident, we wouldn't be flying it." Late on Sunday, Boeing said it will postpone the planned ceremonial debut of its 777x widebody aircraft that had been planned for Wednesday, following the crash of the Max 8. 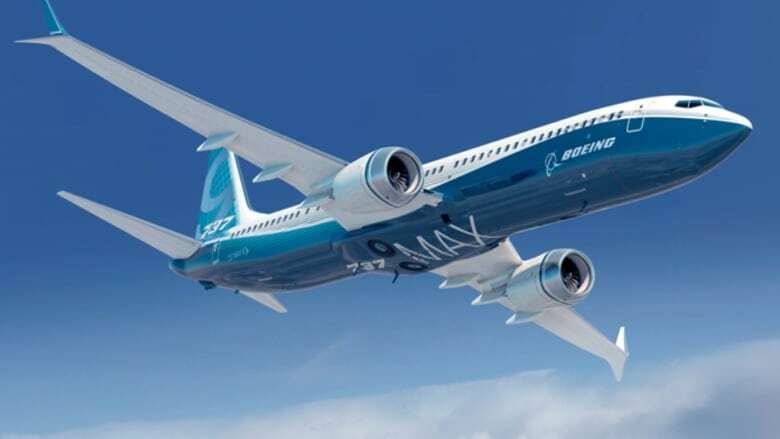 China's aviation regulator ordered Chinese airlines to suspend their Boeing 737 Max aircraft, Chinese media outlet Caijing reported on Monday local time.